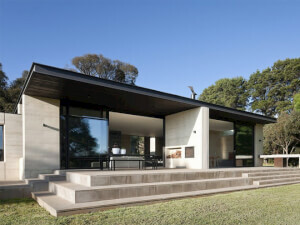 A flat roof is a great home renovation. Find out what affects the cost of this home improvement project and how to get the best value for your money. Use our simple two step process to tell us about the Roofing job and what is required and well try and connect you with Roofing companies suitable to your needs. Your contact details and privacy will be treated with the utmost discretion and privacy. Our aim is for you to be connected with the tradesperson that is 100 % suitable to your needs and circumstances. How Much Does a Flat Roof Installation Cost? A flat roof installation will not always work in all climates. If you experience a considerable amount of snow or rain throughout the year, having it pool up on the top of your roof is not desirable. However, if you live in an area of the country with little in the way of precipitation and moisture, a flat roof can provide you with an excellent housing renovation option. With a flat roof, it is possible to add extra layers on top or even enjoy it as an additional outdoor space. It is also great for installing solar panels. But, before you proceed with a flat roof installation, you need to understand what sort of cost range you will be dealing with. How Much Will It Cost To Install a Flat Roof? There are several different factors you need to consider when looking into this type of installation on your house. A flat roof is not as expensive as installing a diagonal roof because you do not need to use expensive shingles. If you have a larger roof with more expensive materials, your new flat roof may set you back over ￡6,168 should you add some extras like underlayment, sealer and more. In general, however, most homeowners tend to pay in the region of between ￡2,313 to ￡3,855 for a professional flat roof installation. Remember, if you are going to install flat roof, you should compare at least 3 quotes from professionals in your area. It is the only way to ensure you get the best value for your money and a feel for the current pricing trends in your region. Professional contractors can maximize your savings right from the start of the project by doing the installation correctly. There are several variables at play when it comes to your installation. Be sure to keep all of this in mind when considering your budget and the overall cost to install your flat roof. For this cost guide, we will base our calculations on an average 1,200 sq ft area. The built-up roof is a more traditional design made with the combination of tar and gravel. This is the least expensive option, but it only really works if you have an extremely supportive ceiling underneath as it is especially heavy. It offers excellent waterproofing but does make leaks hard to find and only lasts for 10-20 years. This type of flat roof installation will cost between ￡1.93 - ￡2.85 per sq ft installed. On an average 1,200 sq ft roof, you should be paying in the region of about ￡2,313 - ￡3,469. If you need to reinforce your roof supports for the added weight, the added expense can see the overall cost to install your flat roof drastically increase and come in at around ￡2.70 - ￡5 per sq ft for a total of ￡3,238 - ￡6,477. A built up roof generally has 3 - 5 layers, but should you opt for adding extra layers to make it more durable, also expect to spend between ￡454 - ￡578 extra per layer. 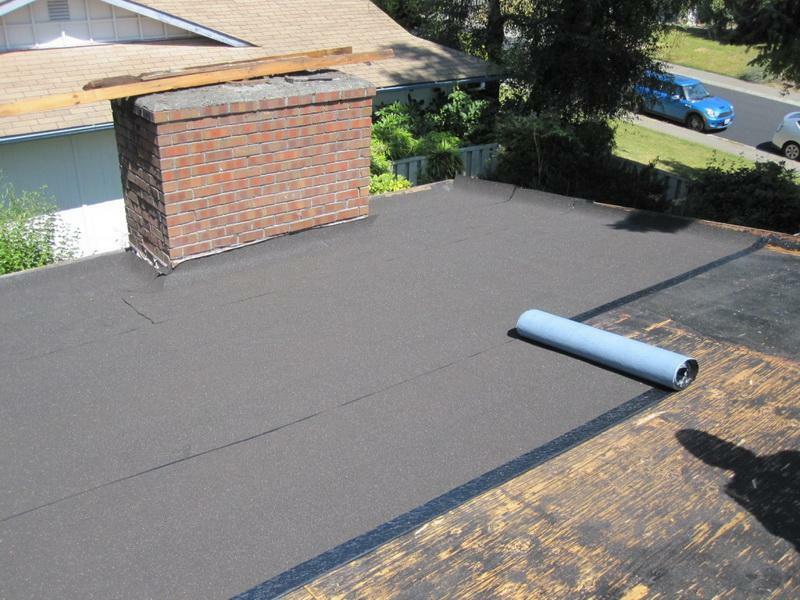 Modified bitumen combines many of the features in the standard tar and gravel roof with the addition of layers of polyester or fiberglass impregnated with bitumen, a derivative of tar or asphalt. It is highly desirable as it is extremely energy efficient and can last up to 30 years. It uses a roll peel-and-stick system ingrained with minerals, cutting down on labor costs as it is easily installed. This type of flat roof installation project is highly specialized, however, and can present a possible fire hazard, so professional installation is the only way to go. Costs will come in anywhere around ￡3 per sq ft installed, but should you be required to strip and dispose of your existing roof, this cost can be up to ￡6 per sq ft installed, totaling between ￡3,701 and ￡7,402 on an average sized roof. EPDM roofing membranes cost about ￡0.39 - ￡1.16 a sq ft depending on thickness and color. This includes adhesive/tape, tools, and other supplies for a do-it-yourself installation. Be sure you know what you are doing when you opt for a DIY project, however, as mistakes could end up being costly. Expect to pay anywhere around ￡1.93 - ￡3.47 per sq ft for a professionally installed, totaling around ￡2,313 - ￡4,163 on an average sized roof. The cost may be higher or lower depending on the tear-off and removal cost of the existing roof, insulation layers, and other factors. You will typically be charged per square foot for labor and not by the hour. It all comes down to the size of your home, regardless of material you are using. Generally, you can expect to pay ￡1.54 - ￡2.31 per sq ft on labor. If you perform most of the labor yourself, you can cut the price down to around ￡771 - ￡1,542. Unfortunately, do-it-yourself projects of this nature often end up causing more costly mistakes, and you may end up paying more than you initially budgeted for. Not all flat roof installation projects are the same, so be sure to consider all factors that may influence the overall cost to install your flat roof. 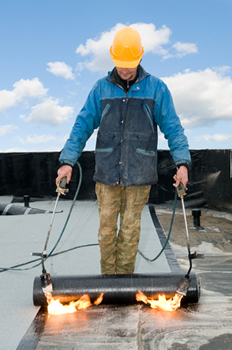 Underlayment is a waterproof membrane that helps to prevent moisture and other elements to from accessing your roof. It is often a requirement, so be sure to check your local building codes. This totals anywhere between ￡539 and ￡771 to cover an average 1,200 sq ft roof. If you never want to deal with leaks you can add roof sealers to the installation which would naturally cost more. Expect to spend ￡616 - ￡771 to cover a standard roof size. To locate the best quote on the cost to install your flat roof from the best contractors in your immediate vicinity, simply enter your home zip code in the space provided below. It is 100% FREE with no obligation to purchase, hire, or sign any contracts. Connect with registered contractors in your local area to compare prices on flat roof installation in your area now! It is a great way to decide what is possible on your budget and it is totally FREE! Costs will vary dependant on several factors. For a more accurate estimate on the overall cost to install your flat roof, get in touch with local professionals for a FREE estimate. By clicking below, you authorise Roofing companies we recommended to call you to discuss your project. You understand that some may use automated phone technology and that you are in no way required to purchase any products or services from them. It's entirely your choice choice.